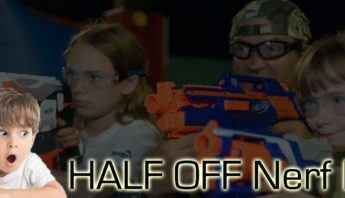 So, you are in need of something fun and new this year for your kids birthday party in Wilmington, NC. You want an activity that both kids and adults can enjoy, one that will create lots of fun memories for years to come. You’ve heard that paintball games are fun, but don’t want the weather to mess up your outdoor activity spontaneously, whether rain comes out of nowhere, or whether it’s simply too smoldering hot to get anyone completely interested in a game of paintball. Well, you’re in luck, because our facility is completely climate controlled! Still, as a parent, you want a safe facility where your children can play and have a great time without being injured by stinging paintballs. 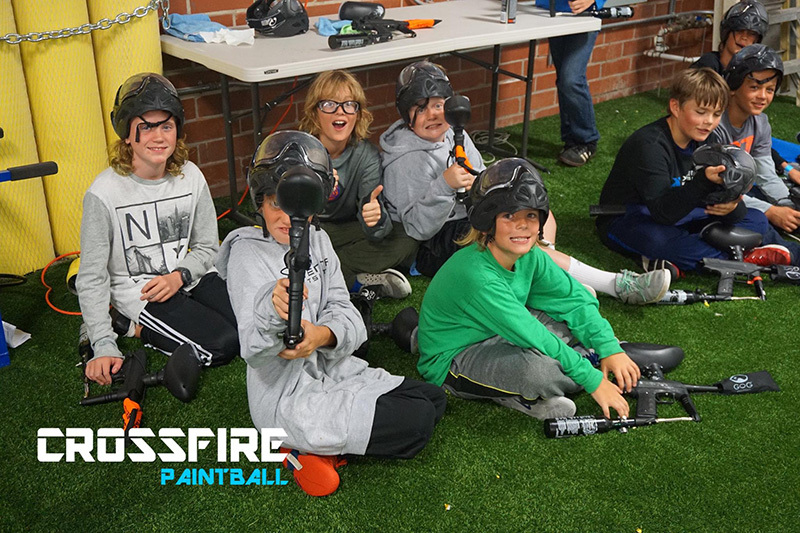 Here at Crossfire Paintball, we use lighter impact paintball guns, so that even the youngest players can go into a game with no fear of getting hurt, but instead with a lot of anticipation for a spectacular fun time! 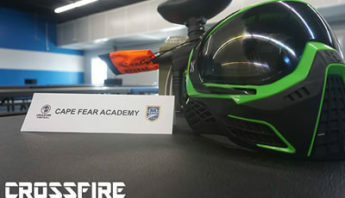 What sets us apart is the caliber of our paintball guns and the speed of the balls, the distance we keep in between teams during gameplay, our safety-first mentality, as well as that fact that we use our own equipment. One of the main things first time paintballers worry about is whether they are going to get hurt while they are out there playing. 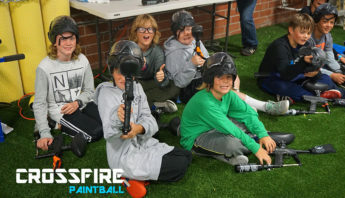 They have probably seen or heard of how fun paintball is for kids birthday parties in Wilmington, NC, but by the time they play it themselves they realize just how many bruises and scars can come about because of an intense paintball match. The standard paintball guns were hard to slow down the balls, and would frequently leave these unattractive marks on the bodies of child players. This was a major concern for parents, being that they were so worried about whether or not their child would be able to enjoy the game without getting injured. At Crossfire Paintball, we use a 50-caliber paintball gun. Due to the smaller size of the ball, the impact on the physical body is decreased. This makes the game one that will attract more parents and youth groups because of the much safer gameplay. The best part about it is that our birthday party packages are low-cost, and very popular among kids from 8 to 16 years old. Part of the reason that many kids get hurt playing paintball is because of the close distance between the shooter and the human target. The main objective of course is to eliminate members of the opposing team one by one, and to try to get as close as you can to get an accurate shot! While this is always spectacular fun, when it came to the heavier paintballs many children and adults were turned off from the game because of bodily bruises. Even when they wore extra clothing they would sometimes wear the physical marks that resulted from an exciting paintball game days after it was over. Here at Crossfire Paintball, we eliminate that by making sure that the players have enough distance between them that they don’t get hurt. Teams about 50 feet away from each other on average when shooting. So, when you are hit you will feel it, but nowhere as near as roughly as before when the larger guns were being used. This amount of distance between players when shooting allows for the ball to be in the air for a longer distance, making the bodily impact of it only intense enough for a player at your kids birthday party in Wilmington, NC to realize they have been hit. The main reason many people wear extra layers of clothing when paintballing is because they want to decrease the impact of the balls themselves. But, there are those folks who are concerned about the climate they will be playing in, so they dress comfortably and accordingly. 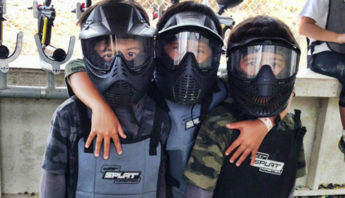 They know that as they maneuver from position to position during a paintball game, those extra layers could end up being a burden because they could get warm, then hot, then start sweating so much that it fogs up their mask, takes away from their focus, and makes them not perform as well as they would have with less clothes on! Here at Crossfire Paintball, our facility is air conditioned all the way through. So, if you are one of those folks who are worried about game play comfort, we’ve got you covered. 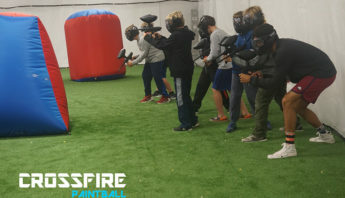 One of the best things about indoor paintball is that even if the weather is bad outside you can still enjoy games here with your friends and family. We take pride in being the only indoor paintball facility in the State of North Carolina! At Crossfire, we use our own paintballs. Our main goal is to be sure that everyone has a great time, and create memories that you will have for years to come. Folks who have been paintballing for a while normally will pick out clothes to wear that they know are going to get pretty messed up. One of the things people like most about our facility is that we have non-stain paintball options. Here, the type of balls we use are field paint only. When they come in contact they will break open a lot easier than other kinds. If you’re new to paintball, you probably don’t know a lot of the technicalities of the sport. But, basically, the temperature of the paintballs you use will determine how easily they break open when coming in contact with a player’s body. If the balls are too cold or hot, they don’t perform well and could possibly cause injury. Here at Crossfire, we keep ours in a climate controlled environment. We ensure that they are not used until they are just right, and as a player you are allowed up to 100 balls at a time. And, there is no time limit on play, making this the perfect place for your kids birthday party in Wilmington, NC!